It has been nearly a month since my visit to the farm, and I have finally made use of the Sweet Mama squash I was given upon my departure. 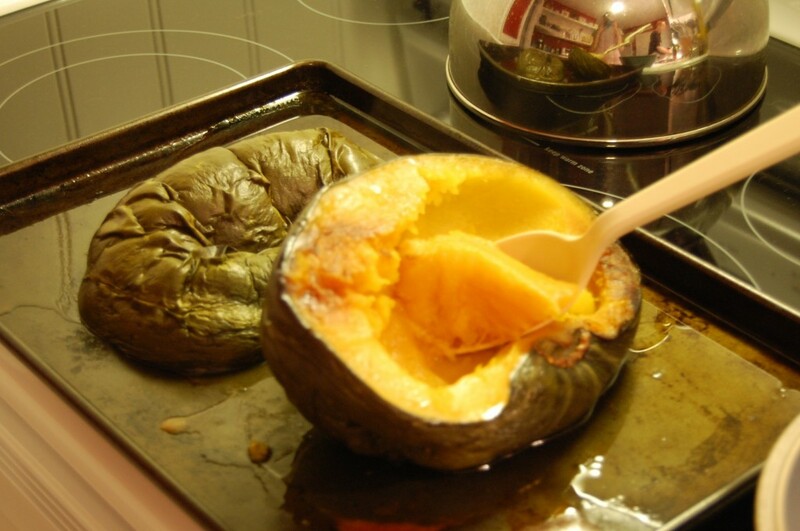 I have never cooked with this variety of squash before, so I decided to cut it in half, remove the seeds and pulp with a spoon, and bake it (skin side up to lock in moisture) at 350 degrees until it was soft enough to scoop.Â After about an hour, the domes collapsed inward and looked wrinkly, but when I turned them over I was able to scoop and scrape the very soft, sweet squash into a bowl, leaving behind only the thin green skin. 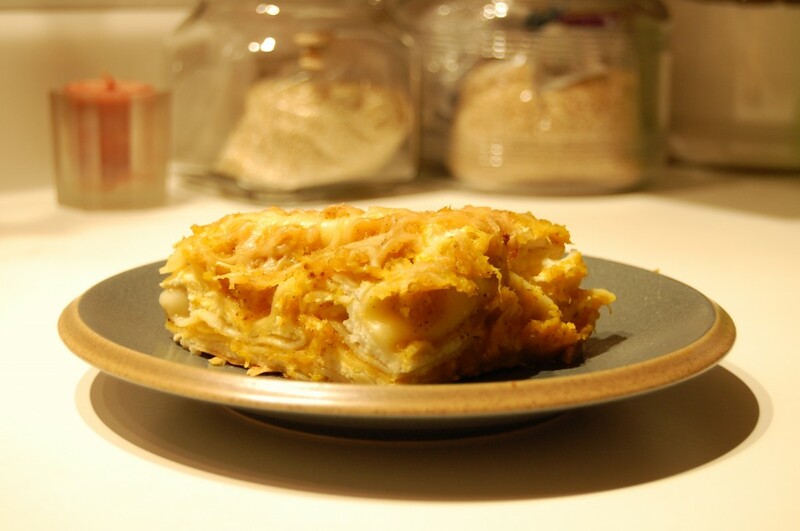 The squash was very sweet, as its name suggests.Â After tasting it, I was tempted to use it for pie, but had already bought ingredients to make a squash lasagna.Â This lasagna is sweet and savory, and makes for wonderful fall comfort food. 1.Â Beat egg, blend with ricotta, and set aside. 2.Â Combine pre-cooked squash, butter, sage, salt and pepper in a large pan heating thoroughly. 3.Â Spread a thin layer of squash into the bottom of a 9 X 13 inch rectangular casserole dish, and cover with a layer of lasagna noodles, then ricotta mixture, parmesan, noodles and repeat the pattern, ending with squash on the top of the casserole. 4.Â Cover tightly with aluminum foil and bake for 40 minutes, then top with remaining parmesan and bake another 5-10 minutes until cheese has melted. This entry was posted in From the Garden, Pasta Dishes, Veggies & Grains and tagged recipe. Bookmark the permalink. made this for dinner last night and loved the flavor–sweet and cheesy!! I substituted cottage cheese for half of the ricotta, and it was a little dry, but I thought maybe adding a pear or two next time might be a good solution for that. Thanks for the great dinner idea! !